The big problem with choosing a well known gesture to describe character emotion is that it often comes across as tired and overused, or worse, cliché. This is usually because we don't just use it once, we use it multiple times throughout the manuscript because it is the first thing to come to mind when we set out to describe a feeling. If the character is scared, they shiver. If they are nervous, they bite their lip. If they are excited, their heart races. Each of these responses to an emotion is realistic, but if every time the character is nervous she's biting her lip, the reader will not be pulled into the story. Settling for phrasing that’s been done to death can not only make a character’s actions and emotions seem a bit hollow, it can also impact the empathy link between reader and character. For readers to fully immerse themselves in the story and character’s plight, they need to invest themselves emotionally. This means not only creating compelling circumstances that allow for rich, emotional interaction between characters, it means bringing the reader up close and letting them experience what the character is feeling. Fresh writing is the key to emotional showing, and this means thinking beyond the basics of body language. It also means understanding the body’s instinctive responses (known as internal visceral reactions) and the thought process that accompanies each emotional experience. Drawing on all three of these as you describe will bright about a rich, layered description that will captivate readers. Here are three tips to put the fresh back into your expressions. 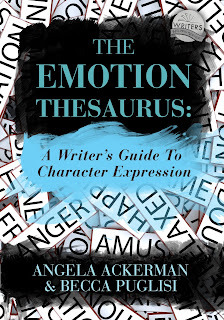 Sit back from the keyboard for a moment and think about what emotion your character is feeling. There may be several, but one will be the root cause of the others. When you find it, think about a time where you felt the same emotion. Then, recreate that moment and allow your body to take over. What is it doing? Let’s pretend it’s guilt. Is there a sour taste in your mouth? Does your stomach bunch up? Does your throat feel painful? Act out the feeling and move around. Do you hold your arms close to the body? Is your posture slumped? Are your eyes closed, or open? 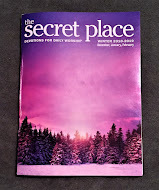 Are you thinking about how awful it would be if others knew about your secret? Keep mining until you find a movement, thought and/or expression that is fresh and unique and fits your character's personality and emotional range. Setting is so much more than a backdrop, so have your character interact with it. Touching is intimate. What objects within the setting trigger feelings of safety or strife? Build these into the scene and show your character react to them. Body language will also shift depending on how a person can express themselves. Confined to a chair, a character may show emotion differently than he would standing around a campfire, or in an elevator full of people. Personality and comfort level will also affect body language, because people act differently alone versus in a group. Think about whether your character feels safe to express emotion in this setting. Are they open about it, or do they try to hide what they feel from others? I know, this one seems a bit basic, but it’s something all writers should be doing. And don’t shy away from locations that provide high emotion either--people who are visibly upset, excited or frustrated are treasure troves of unique body movements! Take advantage of wherever you are--a doctor’s office waiting room, at a pub watching the game, hustling through the grocery store. Keep an eye out for that uncomfortable patient, exuberant fan, or overwrought mom with three kids bouncing all around her. The bottom line is that each of us express ourselves in our own way, and we must strive to do this with our characters. Dig deeper and think beyond the ‘easy’ gestures. Then, using a combination of thoughts, visceral responses and body movement, create your character’s unique emotional footprint on the page. 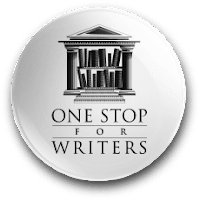 If you get stuck, dig out your copy of The Emotion Thesaurus or visit the thesaurus' online home at One Stop For Writers. If you don't have it on your bookshelf, here's a secret...Amazon's "look inside" feature is quite generous, and chances are, the free preview will give you a ton of ideas. Happy writing! 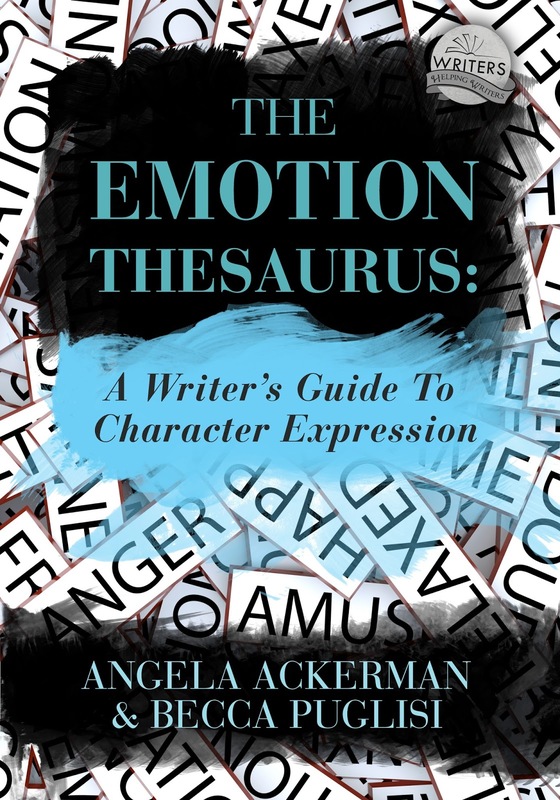 ANGELA ACKERMAN is a writing coach, international speaker and co-author of several bestselling writing books, including The Emotion Thesaurus: A Writer's Guide to Character Expression. She loves building communities, and her newest project, One Stop For Writers, is a powerhouse online library like no other, filled with description and brainstorming tools to help writers elevate their storytelling. 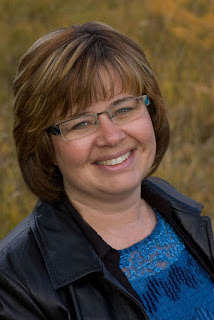 You can also find her on Twitter and Facebook and at her website, Writers Helping Writers. 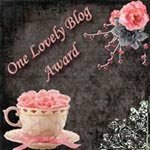 Hey, Ange, great tips as always. I've come to realize (learned this from One Stop) that setting is a character. Or it can be. In my novel it is. It makes things easier when you can see it that way. A lot of storms and the depressing weather reflects the moods of the characters. Sharing this post. Thank you both. Thanks Robyn. I really agree--Setting can be a character, or be the very instrument that reveals character--through mood, symbolism, through backstory tie ins and through how the character interacts with his world most of all. 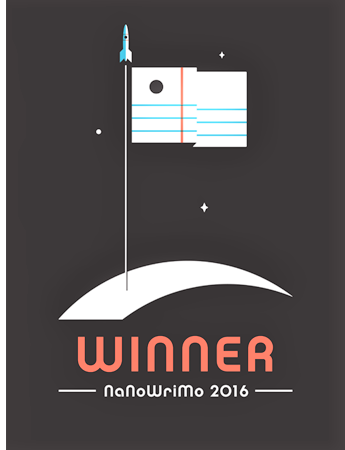 Hugs and happy writing! Sara Beth, glad you found this helpful. I know I always find something new and insightful when I do these interviews. Right! And they can't always be smiling or grinning either - another favorite emotion that new writers use to the max.